KELK Ltd. (President: Hiroaki Takechi. Head office: Hiratsuka City, Kanagawa Prefecture) (hereafter “KELK”) is starting full-scale production and sales of three types of thermoelectric generation-applied products in June this year. 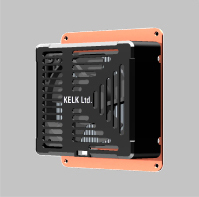 KELK has developed new products by using its conventional thermoelectric modules as devices and units according to different uses and heat sources, thereby improving the convenience of use. 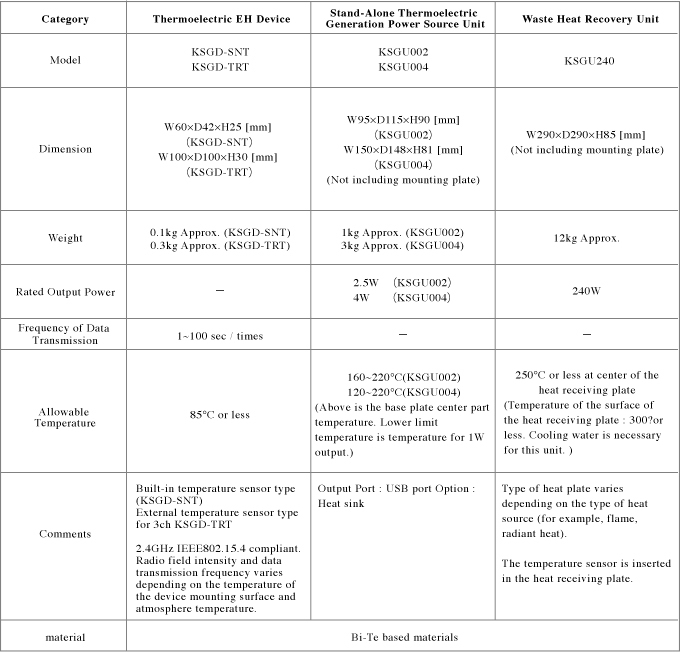 Specifically, the “Thermoelectric EH*1 Device” is capable of generating electricity simply by placing it on a machine which emits heat, operating its sensor and wireless transmitter, and monitoring on-site conditions. The “Stand-Alone Thermoelectric Generation Power Source Unit” is capable of generating electricity by placing it near a camp fire and stoves and charging cell phones and mobile devices. The “Waste Heat Recovery Unit” is capable of generating electricity by recovering waste heat from industrial machines, such as furnaces, in the manufacturing plant, making contributions to saving energy use and reducing CO2 emissions. As IoT (Internet of Things) will further spread around the world, people’s lives are expected to become richer and more convenient. Meanwhile, it is becoming more important for humans to consider limited natural resources and the natural environment. With respect to heat energy, the emission volume of “unused energy” is large in both industrial and residential sectors, urgently calling for effective use of it in light of energy saving. While providing thermoelectric modules in the conventional manner, KELK is introducing these three new products as user-friendly devices and units in order to meet the thermoelectric conversion needs of more customers. KELK also anticipates their use in Komatsu’s construction and mining equipment. The “Thermoelectric EH Device” is positioned to take strategic advantage in IoT applications, because it requires no wiring, batteries or maintenance, and also allows customers of construction and mining equipment to place it near working parts. Komatsu is engaging in R&D of monitoring machine conditions by using this device which transmits information from the sensors attached on different parts. 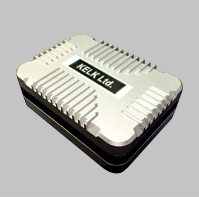 Since its establishment in 1966, KELK has accumulated thermoelectric conversion technologies over the years. By capitalizing on this technological strength, KELK will continue to drive the development and introduction of innovative products designed to convert waste heat into electricity in order to contribute to the making of an energy-saving and smart society. KELK will exhibit the thermoelectric generation device and units at the Smart Factory Japan 2017 to be held at the Tokyo Big Sight, starting on June 7 this year. 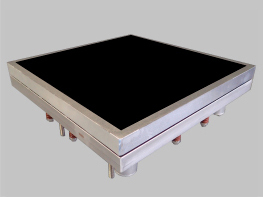 Micro thermoelectric generation modules are used as an energy harvester. This product comes in two types: (1) with a built-in temperature sensor as wireless sensor and (2) with an external sensor which can be attached directly on the area where you want to measure temperature. The largest merit comes from no need for batteries or maintenance. Because it is capable of wireless transmission of data, it is free of complicated wiring, even when there are many points of temperature measurement. It is also easy to fix it near working parts, which is difficult to wire, as well as existing equipment. KELK also foresees IoT applications, such as maintenance of machines and facilities (monitoring of temperature, pressure and images) and the sensory networks of monitoring the ambient environs of machines and equipment. It generates a small amount of electricity by placing it directly on a near-by heat source. Equipped with a USB output port, it can be used as a power source to charge mobile devices. You can obtain electricity from home appliances, such as room heaters and gas stoves, bonfires, when camping or in emergencies, burning charcoal, and waste heat from industrial machinery. All in all, you can obtain electricity where wiring and power supplies are impossible. It operates as a thermoelectric generation unit which generates hundreds of Watts by recovering waste heat from quenching, steel making processes and other industrial processes. Use of high-performance modules enables high-power density*2. By converting heat of afterburner flames from industrial furnaces and radiant heat in steel making processes into electricity for efficient use, you can expect to save energy and cut down CO2 emissions. *1 Energy harvesting: Technology to obtain a very small amount of energy (heat, light, vibrations, electric waves, etc.) in ambient backgrounds. Overseas Sales Gr. / Sales Dept. *Information contained in this new release is valid as of the date of releasing and may be changed without voice.